Up for a Skinny dip or are you a Plain Jane? Either way, it’s all delicious! 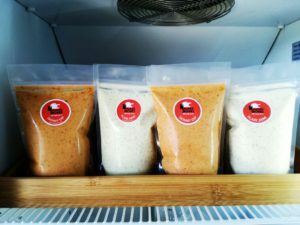 This is seriously good old school handmade mayonnaise made with free range eggs and fresh herbs and spices. Available in either; Canola or Olive oil. Now available at Home Grown Litchi Orchard or Hillcrest quick Spar along with our marinated vacuum packed chicken.